You may know that graphic vinyl and window films can enhance the architecture of your property, inside and out, and allow you to use available wall spaces for advertising and promotion. Now, thanks to 3M Textured Surface Films, previously overlooked surfaces such as concrete and brick walls, structural pillars, stuccoed surfaces, and tiles can now serve as a canvas for those ‘in the know’.  3M Textured Surface films are conformable and can be moulded to surfaces to create crisp, photographic quality images as large as you require. They can be used in interior and exterior applications. This unique product preserves the look and feel of the existing surface while providing a better than painted appearance. Parking garages, retaining walls, walkways, and other areas not typically considered inviting can be transformed into areas of beautification. With a textured surface film solution from 3M, you will quickly see that patrons cannot help but stop and admire (and want to touch) this exciting award-winning technology. You can preserve the look and feel of real brick by conveying your message on thermoformed vinyl graphics, which can be applied indoors or outdoors. Heat is used to apply and remove this film to textured substrates such as brick, and to smooth surfaces such as floors and concrete to give an advertisement or image a crisp photographic appearance. An increasingly popular application is to utilize this same 3M vinyl as floor advertising or 'find your way' direction signage.